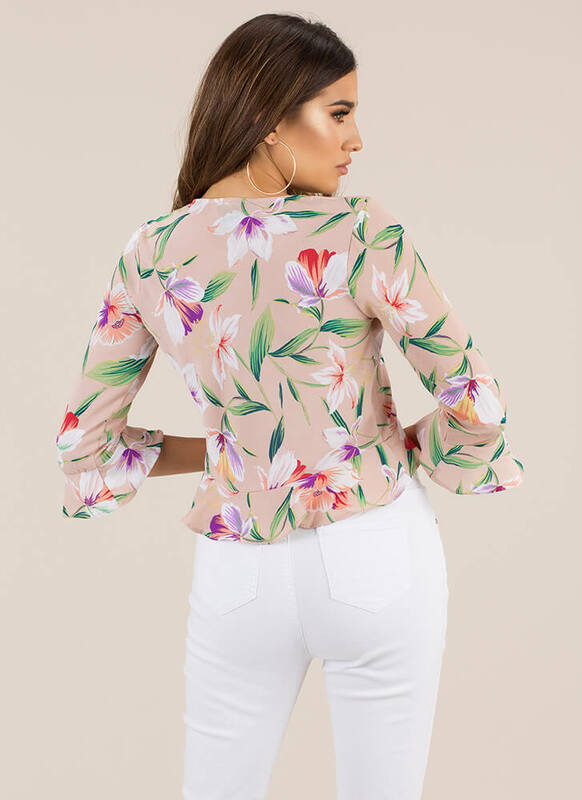 If you've got a garden gathering coming up, we've got the perfect thing for you to wear... Lightweight, non-stretchy, cropped floral blouse features a deep-V neckline, three-quarter bell sleeves, a ruffled high-low hem, an allover print of painted flowers and leaves, and a ruched, gathered front with tied straps. No closures are included. Pattern placement may vary.